Providing you the best range of roller conveyor, powered expandable roller conveyor, heavy duty gravity roller conveyors, stainless steel roller conveyor, gravity roller conveyor and power roller conveyor with effective & timely delivery. 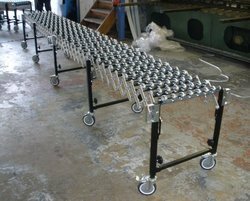 Stainless Steel Roller Conveyor are the peak of versatility when it comes to conveying from point A to point B in a given space Exceptional for truck loading and unloading, retail back rooms, shipping areas, loading docks and plant floors. Expandable conveyors allow you to quickly create a temporary conveyor line precisely where you need it - and they're portable. Just extend and curve the conveyor to meet your needs. 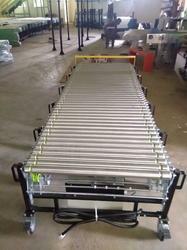 Roller Conveyor Suitable for low to medium volume shipping functions, packaging, and assembly. 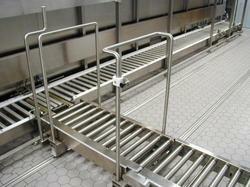 Used for handling odd shaped boxes, bags, and cartons that hang up on skate wheel conveyors. 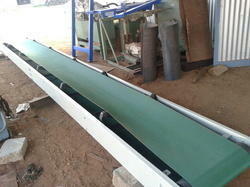 Gravity Roller Conveyor are the most economical and common method of conveying unit loads. The conveyors are typically mounted on a slight decline angle, therefore using gravity to assist product movement, especially for long distances. 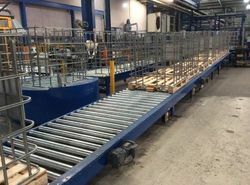 They can also be used in applications where the conveyor is level and operators can push the product along to its final destination, allowing for multiple workstations, if needed. 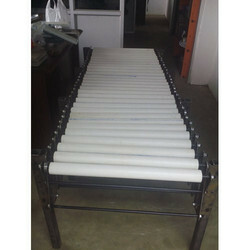 We offer Power Roller Conveyor to our clients. 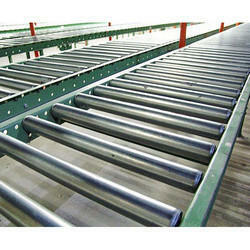 Looking for Roller Conveyors ?